Last week on Called to Coach: Southeast Asia Edition, we featured Gallup Senior Practice Consultant Dr. Ehssan Abdallah. Ehssan’s mission is to build capacity within client organizations to improve bottom- and top-line performance. Ehssan began his career at Gallup’s Dubai office where he quickly found that many organizations in the region focused primarily on people’s weaknesses, instead of putting them in positions to maximize their strengths. Recognizing this issue, Ehssan knew that the quickest way to turn this around would be to conduct individual coaching sessions. During the beginning stages of setting up a coaching business, Ehssan explains that it’s important to find your coaching niche. Figure out what areas you want to coach, and what you want your coaching focus to be. By nailing down these elements early on, you’ll see your coaching business quickly blossom into success. lower turnover for the organization. To hear more about Ehssan and his work with strengths, watch the video above. Join us for Theme Thursday on Thursday, March 27, at 1 p.m. EDT, where we will focus on the Deliberative theme. Register today! Ehssan is responsible for consulting with and developing solutions for Gallup’s clients worldwide. 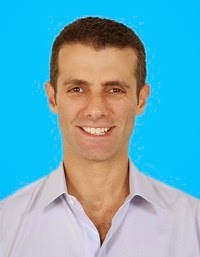 A native of Melbourne, Australia, Ehssan earned his undergraduate degrees in economics and international studies, his honors degree (first class) in communication, and his doctorate in international trade from Deakin University in Melbourne.